For many families, there comes a point when moving a loved one into a skilled nursing facility is the right decision. Even so, and even if the elder is looking forward to the move, the transition can be hard on caregivers. Knowing how the move is likely to play out and having a plan for dealing with the strong emotions that arise can be beneficial. Regret about the move. No matter how wonderful an elder’s new community is, it’s very common for a caregiver to feel some remorse about moving them out of their house (or yours) and into their new accommodations. In the same way that you are reassuring them that this is the right long-term strategy, you should keep reminding yourself of that fact as well. Loss of control. While you are intentionally accepting the assistance of the skilled nursing facility, it may still feel uncomfortable to no longer have the same level of input into your loved one’s daily activities. Focusing on the fact that they are in good hands will help. Guilt about enjoying yourself. As you start to think about what you’ll do with the additional time you’ll have available to pursue your own interests and activities, you may feel a strange mix of excitement and guilt. Keep in mind that your loved one surely appreciates all you’ve done for them to date and will want you to pursue your passions wholeheartedly. Our team at Green House Homes at Mirasol understands what you’re going through in moving your loved one into a skilled nursing facility. It’s a very significant life milestone for both of you, and, we’re eager to assist with the transition every step of the way. 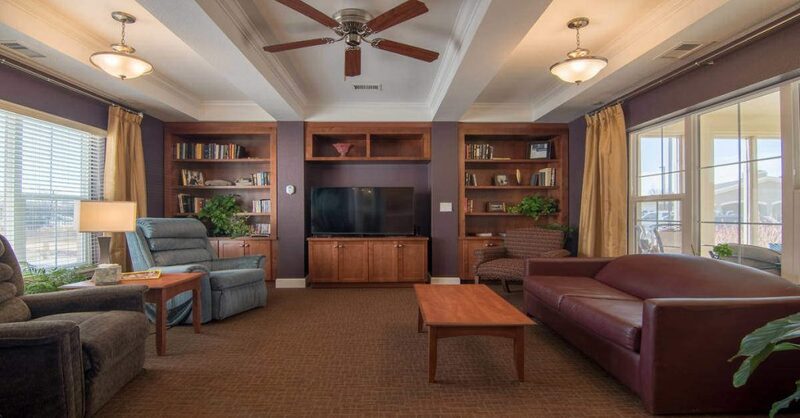 Plus, once the elder is settled, we ensure that both you and our new resident are comfortable with their environment and confident they are getting attentive and compassionate care.